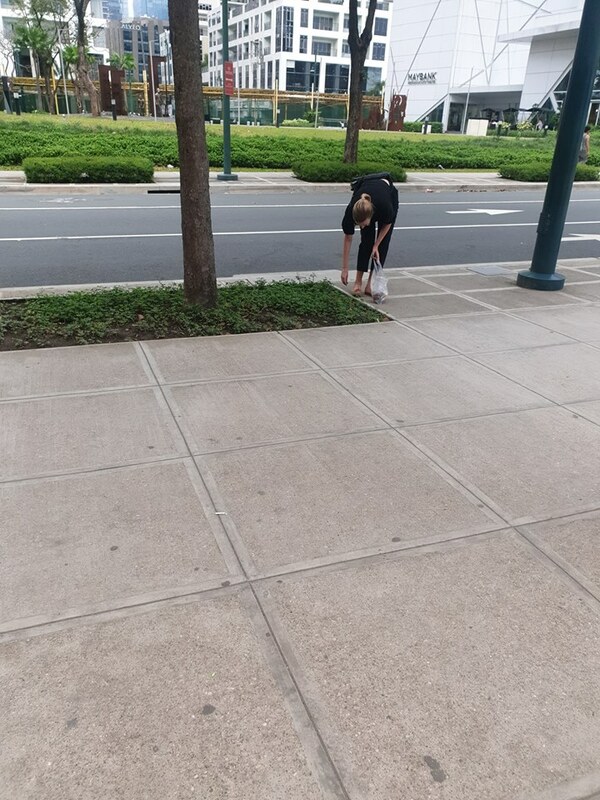 MANILA, Philippines – Whether we admit it or not, it is a sad reality in the Philippines that there are a lot of Filipinos who lack discipline when it comes to following rules, including matters about throwing trash in proper receptacles. Sadly, this leaves this beautiful country with plenty of trash all around. There’s trash in the streets of cities; there’s trash even in the beaches and other tourist spots! 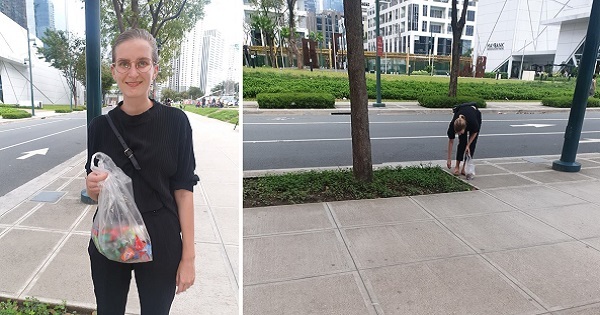 Netizen John Mendel Espina shared an eye-opening story about a foreigner he saw at Bonifacio Global City (BGC) Forum in Taguig City, picking up trash by herself. 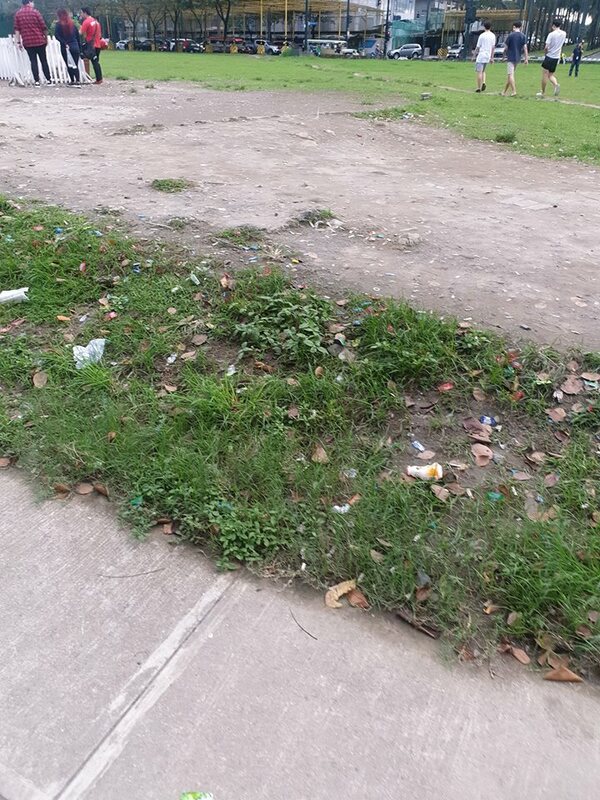 According to John, he was just walking by the area on his way to SM Aura when he noticed the female foreigner holding a plastic bag and picking up trash. At first, John thought nothing about this and tried to ignore the woman but his curiosity was piqued by this foreigner’s action; thus, he went back, unsure of what to do next. He admitted that he was rather shy to talk to the woman, but he eventually summoned the courage to get closer. John learned that this woman’s name is Emily. He immediately offered apologies, in behalf of the many Pinoys who threw their trash in the area and around the Philippines. Acknowledging her actions, John thanked Emily for her kind deed. “Well, someone has to do an initiative, right?” she replied. John was rather speechless after that remark. “Hindi ko alam kung ano pa ang susunod kong sasabihin sa kanya. Gusto kong tumulong pero may kailangan ako puntahan. (O nagdadahilan lang talaga ako dahil hindi ko kaya ung ginagawa niya? )” John wrote on Facebook. In the end, he decided if he could take her photo and share her advocacy. It was the least he could to help her; though he felt embarrassed that he really wasn’t able to help her clean up the place. He also admits to sometimes throwing trash anywhere, but he vowed to never do it again. 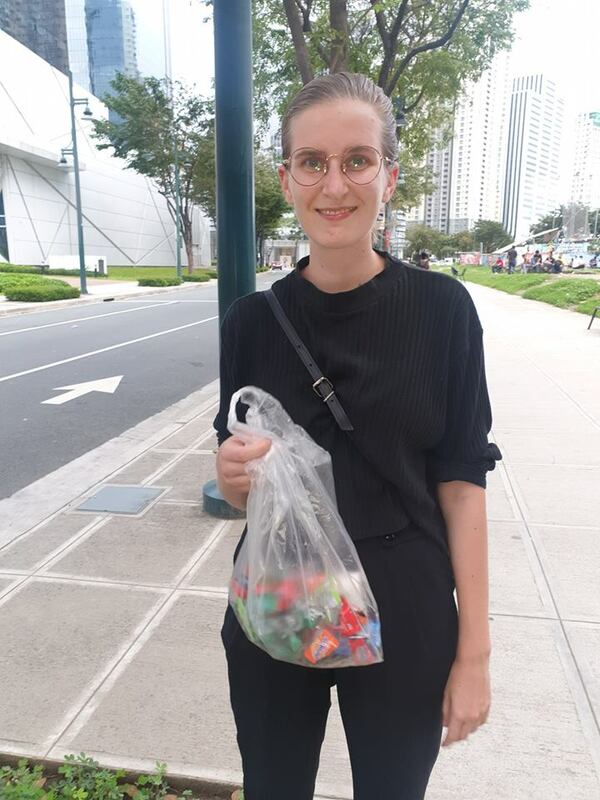 The post has gone viral, with people praising Emily for her actions and also apologizing to the foreigner that she had to do this in the Philippines. Others promised to never throw trash again and to also help clean up, if they could.